Save the date: October 3-4, 2019! annual conference. Formerly: Mobile Photo Connect. 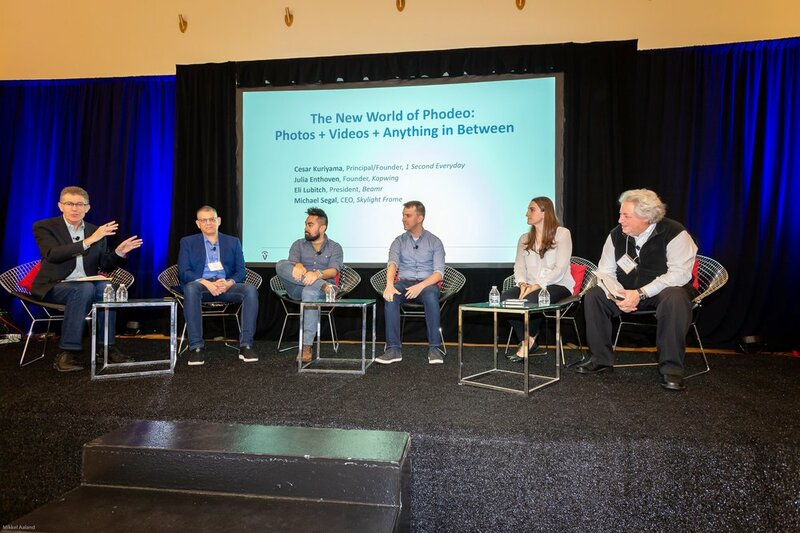 hosting executives and entrepreneurs at photo and video app development startups, mobile device vendors, carriers, cloud storage providers, software companies, print product providers, camera manufacturers, and many others. Click here to view more photos taken at our 2018 conference. Check out the 2018 program and speakers! Judged by industry experts who'll present the Visual 1st Awards! Publish a trailer of your app on our Sample Attendee Apps page.